This is a very short vacation. Not planned. 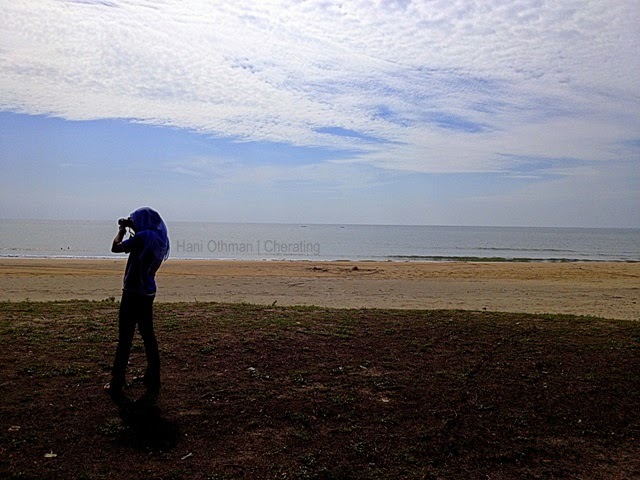 Just suddenly my friend ask me to accompany her meeting her family in Cherating... And I said YES! Then we go. Simple as that! 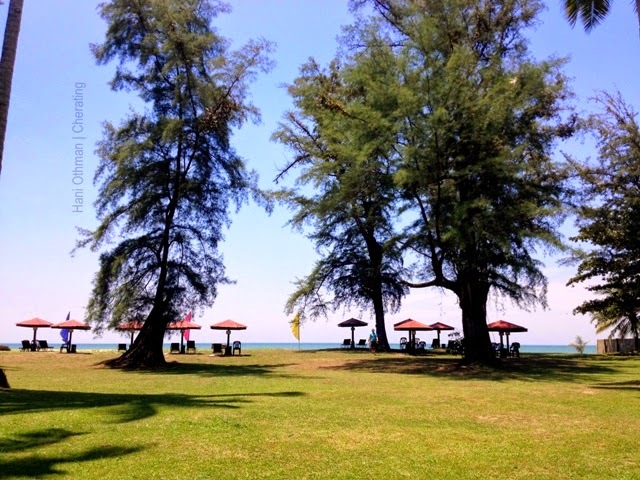 Cherating is a place located in Pahang, Malaysia. Since I am from Kuala Lumpur, so we managed to drive from KL to Cherating. The journey took around 3 hours.Besides driving, another way for you to go to Cherating is by plane.. touch down in Kuala Terengganu, then take taxi or bus to go to Cherating. In this case, of course I would prefer to take car because it is more convenient. 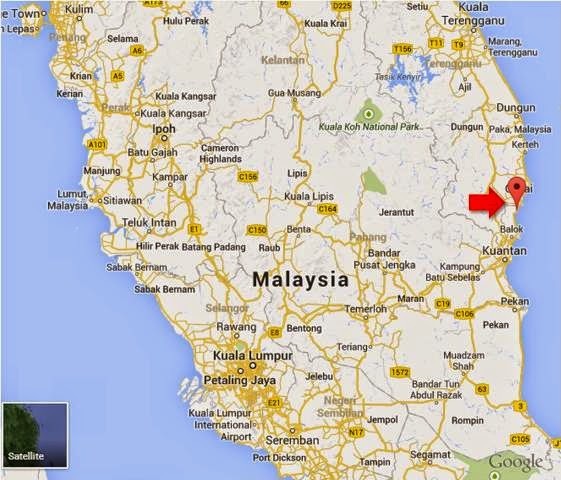 Look at the red arrow.. that is the location of Cherating.. Looking at the map, I think you can imagine how it is, isn't it? 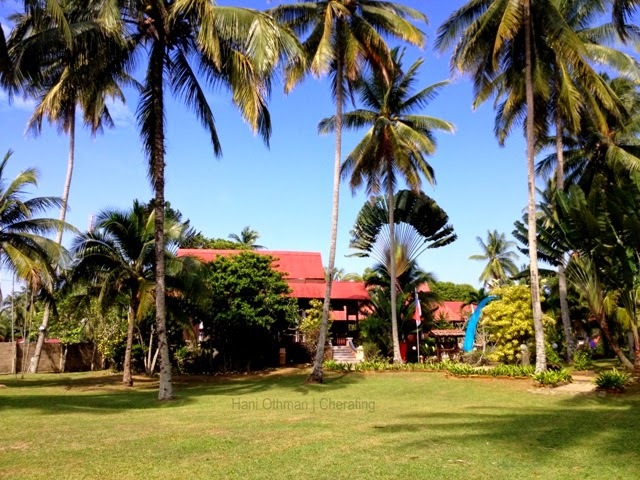 In Cherating, we stayed at Eastern Pavillion. A cozy villa.. There is a small private pool in each villas. 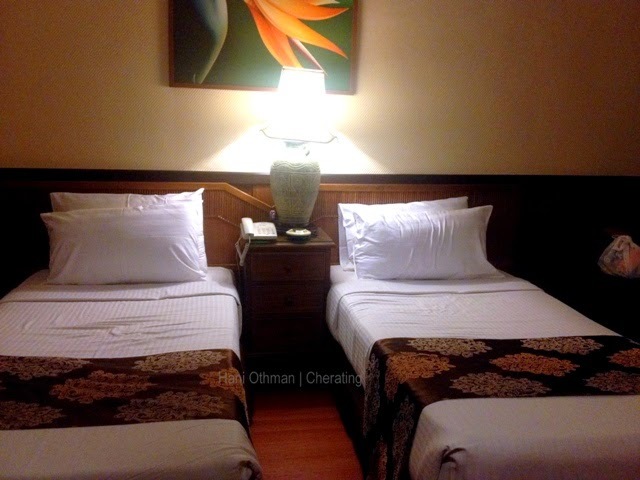 A villa can accommodate at least 5 persons. 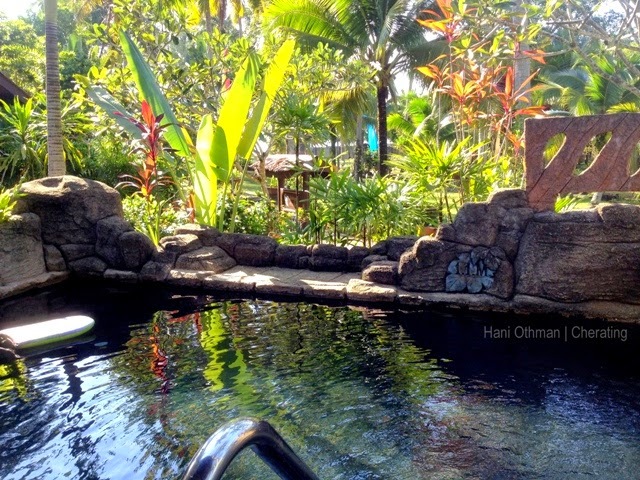 This villa will cost you around RM1000 ++ per night. It is quiet expensive but valuable. 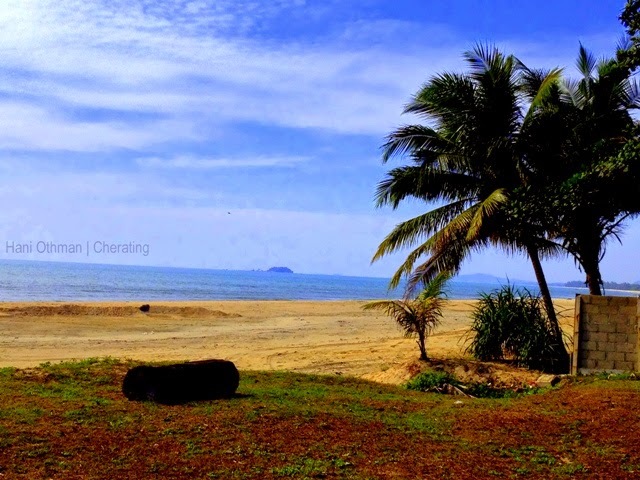 If you are too busy but need vacation with your family, Cherating is the best place for you. Else, you can go to Port Dickson or Pangkor. One night is just enough!